Two build up events for April 20th announced! 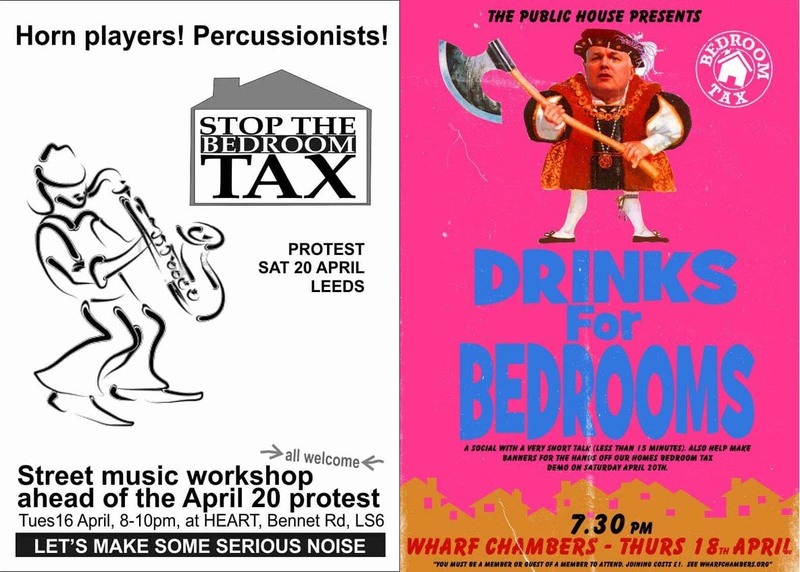 We are very excited to announce two build up events for our Stop the Bedroom Tax Demo on April 20th hosted by friends of ours. A very kind fundraiser for Hands Off Our Homes hosted at Wharf Chambers. Drinks for Bedrooms will have a brief introduction to the campaign so far, stalls from various housing campaigns and banner making for the 20th. But the main focus of the event will be merriment making. A bucket will be going around to raise some money for Hands Off Our Homes (some much needed cash! ).